This week is Computer Science Education Week... and there are "Hour of Code" events taking place all around the world. 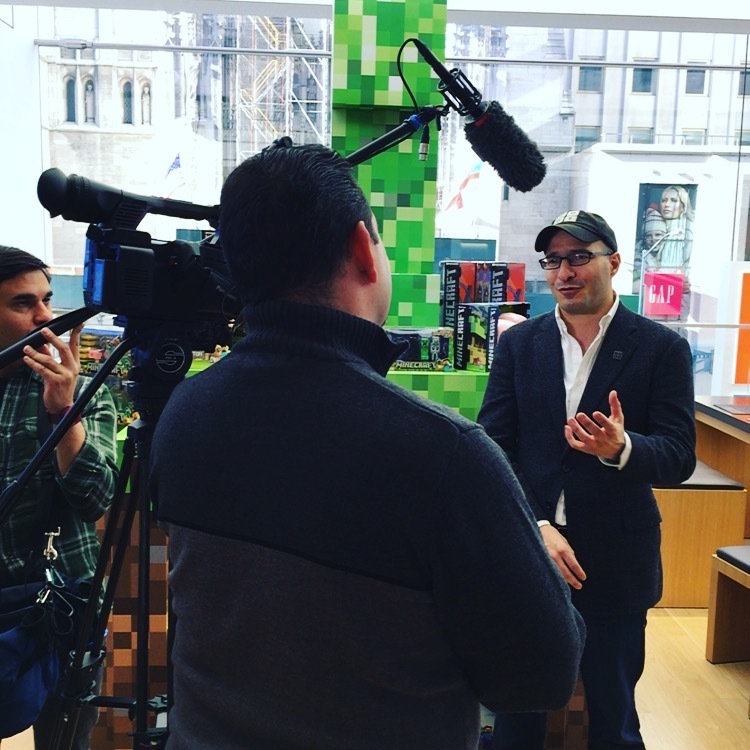 I was invited to participate today at the Microsoft Flagship Store in NYC on 5th Avenue. I was really curious to see what happens during an hour of coding with Microsoft and Minecraft. While I kept myself in check... inside my geek self was kind of having a fan girl moment while listening to Hadi Partovi (the founder of code.org) and Emily E. Reid (the director of education from Girls Who Code). I mean... Code.org and Girls Who Code!!! That's like... superstar status for a techy blog geek mom of 2 girls. Something that stuck with me from during the talks is how the Hour of Code is a collaborative effort around the world... and among some pretty big companies. Microsoft, Apple, Google & Amazon all collaborate to make it happen. Read that again... Microsoft, Apple, Google & Amazon all collaborate to make it happen. No competing over who gets to help children learn. They believe it's so important to get children to learn coding and computer programming that they work together to make it available all over the world. After checking out the stats for New Jersey on the Code.org website... I have to say I don't feel bad at all for thoroughly encouraging Zoe and Ana to be obsessed over all things tech. It definitely sounds like nudging them into the computer science field could end up being a really lucrative future. If your school doesn't teach Computer Science and coding... ask them to! Code.org and an Hour of Coding makes it so easy to add to the curriculum. They even have sample letters you can use to bring the topic to your schools. And, as we were told by the Knollwood Middle School Computer Science teacher (who also labelled himself a "recovering English teacher") CS teachers don't need to know it all. It's an ever changing and new field... and he regularly tells his students he doesn't have all the answers, and is going to learn right along with him. He sounded like a really amazing teacher.